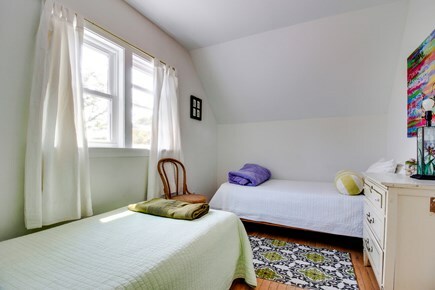 Relax in optimal comfort at this Oak Bluffs home. 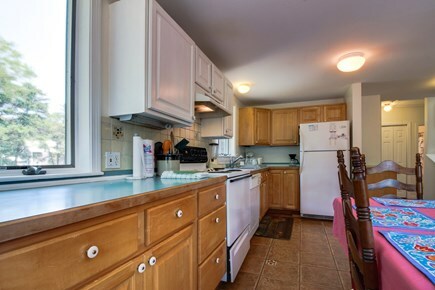 It has four bedrooms and lots of space for an ideal family vacation! 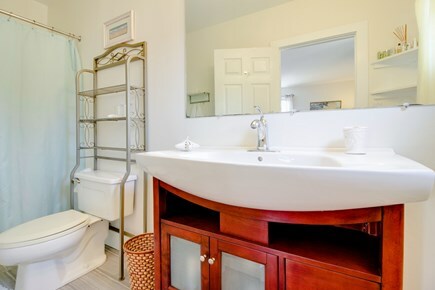 You're in the heart of Oak Bluffs, within walking distance of the harbor and lovely waterfront. You can hop off the ferry to Martha's Vineyard and be here in no time. This clapboard home is airy and inviting. 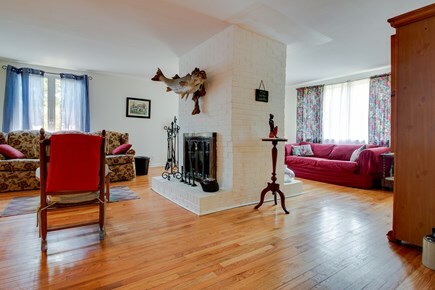 The living room has a two-sided decorative fireplace, a red couch, leather armchair, a rocking chair, floral sofa, and hardwood floors. You can watch cable or a DVD on the flatscreen TV, too. 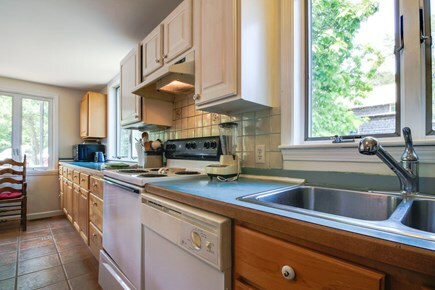 The kitchen has wood cabinetry, a dishwasher, fridge, electric range, and a six-seat dining table. Head out on the front lawn with its patio furniture for a meal under the stars. 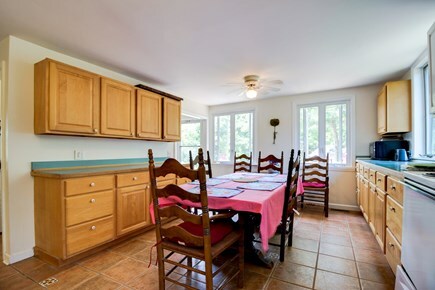 This home has four bedrooms and two full baths, with plenty of space for up to eight guests. The master boasts a queen fourposter, hardwood floors, and a chair. Another bedroom has a queen bed and antiques. 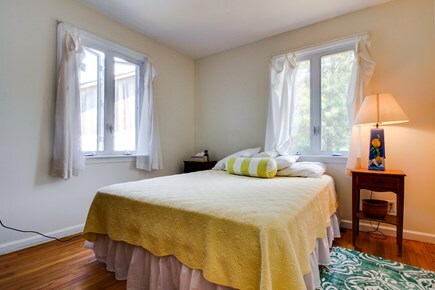 In the third bedroom you will find a queen bed and a TV. 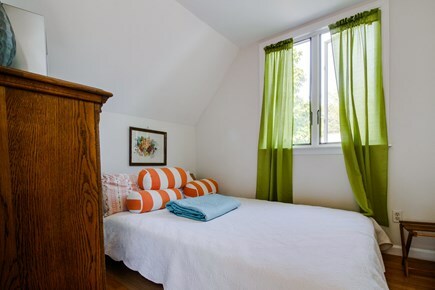 The fourth bedroom offers two twin beds. 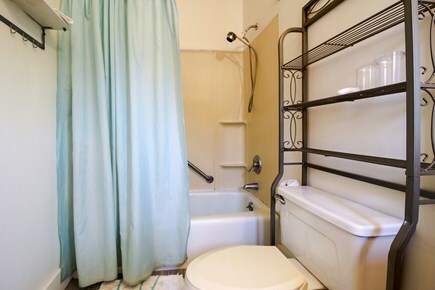 There are two full baths here as well. Free WiFi is available as well as a washer and dryer. There's also a charcoal grill for outdoor dining. You'll find lots to do in Oak Bluffs. From festivals to boutiques to great eateries, it's all here. And the beaches are some of the best on the Vineyard. 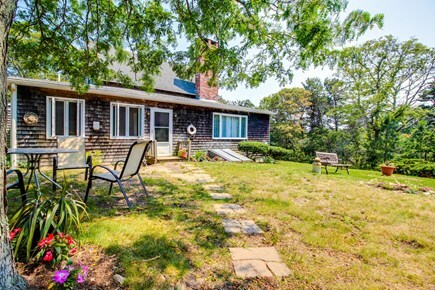 Spend a fantastic holiday at this lovely Martha's Vineyard home. 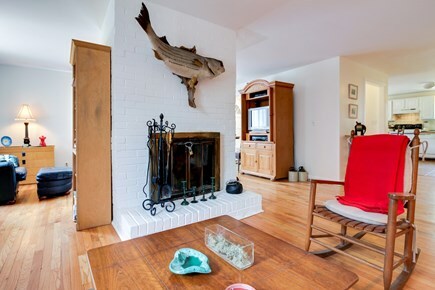 Loved the charm of the home and it was so convenient to walk everywhere in Oak Bluffs. Great stay for a girls weekend, loved the story of the home by the owners as well! Stayed here with a group of 7. Plenty of sleeping space, had beach chairs and coolers for the beach. Got a lot of use out of the grill and outdoor patio set up. Perfect spot where you can walk to and from down town. Would absolutely stay here again. 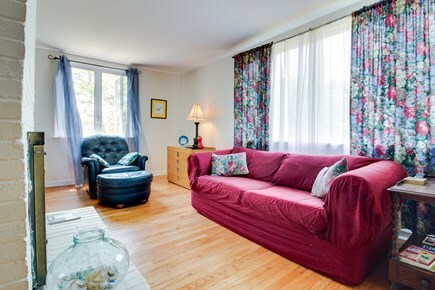 Just a short walk from downtown Oak Bluffs, this house is in a very quiet neighborhood while still being close to shops, restaurants and bars. 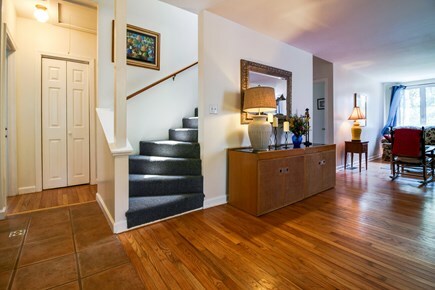 It's a lovely home with ample space for relaxing. 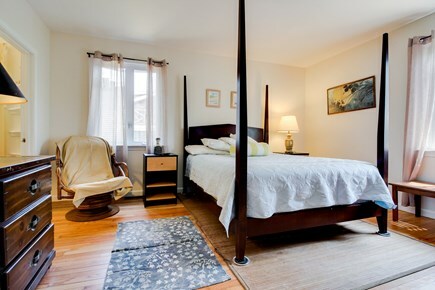 The bed's are not the most comfortable and bring your own pillow, and the stairs to the second floor are very tight and steep, common in homes of this style. Overall a wonderful location and I would definitely stay here again! Nice walk to everything. Bright, open floor plan.